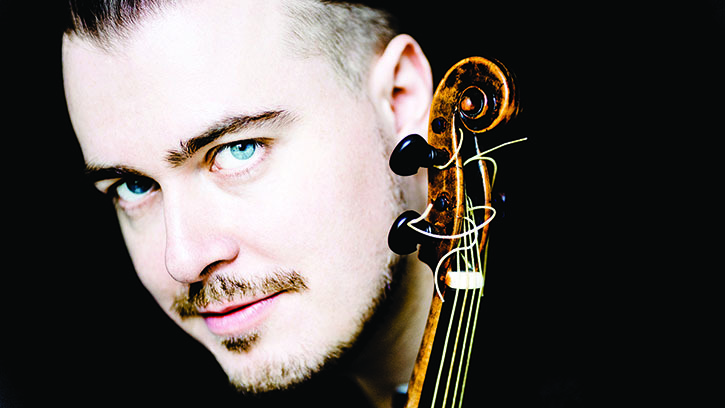 Baroque virtuoso Dmitry Sinkovsky leads the Vivaldi Project, a unique study of the Italian composer’s greatest works. The voice is our first instrument, so it’s not uncommon for violinists and conductors to find inspiration in a vocalist’s turn of phrase. Likewise, many vocalists harness a certain instrumental virtuosity in their performances. But to find a musician who can seamlessly blend all three together? That is unheard of — unless you’ve heard of Dmitry Sinkovsky. His performances are electrifying, in no small part because Sinkovsky the violinist thinks like Sinkovsky the vocalist. Embellishments feel freshly improvised on the spot and the spectrum of colors and expressive fluctuations is perfectly balanced. Even on the violin, he brings the drama of opera into the music, highlighting the twists and turns of Vivaldi’s concertos. If you have not yet had the pleasure of hearing Sinkovsky, listen to his recording of The Four Seasons and “Cessate, omai cessate” with his ensemble, La Voce Strumentale. His violin sings through the rhythmic onslaught of Vivaldi’s devilishly difficult concertos and his voice… well, you just have to hear it. Sinkovsky is a countertenor, a rare voice type valued for its clarity and projection. With a vocal range equivalent to an alto or mezzo-soprano, Sinkovsky’s voice is stunning, pure and effortlessly smooth. It’s no wonder 17th century composers and audiences valued the voice type so highly. Of course, listening is only half the fun. Watching Sinkovsky perform is a unique experience, one that draws out the tensions of the music. He takes a collaborative approach to rehearsing and performing, involving each musician in the process. His connection with the orchestra is immediately apparent on stage. When performing on the violin, he frequently turns to face the orchestra and plays with them, inviting them into a conversation. As a vocalist, he cedes control of the group and relies on the concertmaster to lead the ensemble. Later this season, the Northwest Boychoir joins Sinkovsky for Vivaldi’s Gloria on February 23 and 24, and in May his long-time collaborator, soprano Julia Lezhneva, will join him for concerts on May 4 and 5. Lezhneva is recognized around the world for her “angelic voice,” as described by The New York Times. Last year she joined Sinkovsky for a European tour featuring arias and duets by Handel and Vivaldi. The pair will perform part of that highly acclaimed concert series at Benaroya Hall on May 4 and 5 and again on May 6 with Sinkovsky performing Mozart’s Violin Concerto No. 5, "Turkish." Experience the extraordinary virtuosity of Dmitry Sinkovsky this season with the Vivaldi Project, beginning October 20, 21 and 27!